We're winding down our reading of Numbers. We haven't even read about a number in a while, right? Instead, we're making final preparations to enter the land God has promised. Most of the chapter outlines the journey the Israelites have taken. The text says that the people were "under the hand" of Moses and Aaron. Moses has recorded "their starting points, stage by stage." The people were arranged in a military fashion. That has set them up for the conquest of Canaan. Verse 52 makes it clear that what is before the Israelites is a holy war. This chapter is written in two parts. The first outlines the boundaries of Canaan. The second section indicates the leaders of all the tribes. This is a familiar psalm to a lot of people. It is commonly read and referred to on Ash Wednesday as it deals with personal sin, forgiveness and reconciliation. Notice the "To the leader" note. 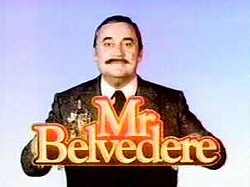 Did you ever watch Mr. Belvedere? I won't recap the entire sitcom other than mention he was an English butler to a suburban family. Each episode ended the same, Mr. Belvedere would sit at his desk and journal the day's events. As a kid I always looked forward to that part of the show because I wanted to know what he thought was important and how he brought everything to close. The Israelites did some journaling, too. Moses recorded every place the Israelites camped. Of course, we've been reading an account of the people's activities. Journaling is a beneficial spiritual discipline. I recommend it to you. You don't have to write novels each day--you may not even write each day. The question I get asked about journaling is, "What do I write?" Well, write the big events of your day, or write about the small things you don't want to forget. Write how you felt, what you were thinking and/or why you want to remember what you're writing. You can write down when a prayer gets answered or when you have a theological/biblical question. There's no one right way of doing it. It's something you can use to remember your walk with God. Just as we're able to gleam faith lessons from the Israelites journey, we can do the same thing when we pay attention to ours, too.